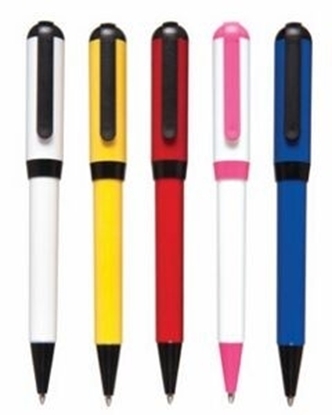 The US 8 Pen has single color printing in an assortment of colors. White barrel with color clip and accents or choose clear clip and accents on Black, Blue, Red and Yellow. 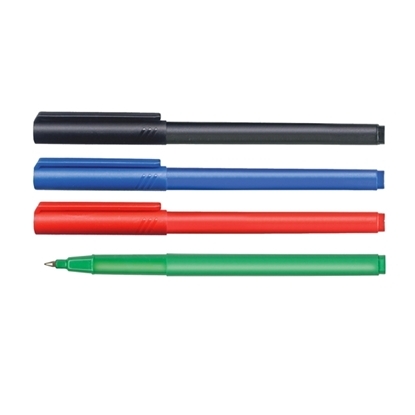 The US 6 Pen has single color printing in an assortment of colors. White barrel with color clip and trim. Color barrel with clear clip and trim. 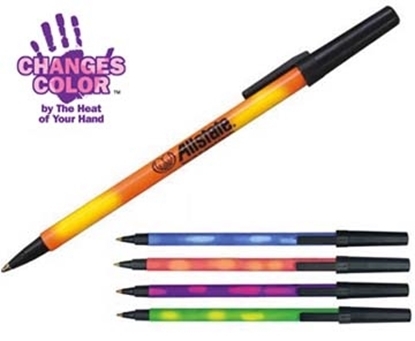 Completely customize the design and color of the entire barrel of this grip pen. If you have just a logo, we will help you design a wrap for the entire barrel including extra text & clip art. Make your message BIG! 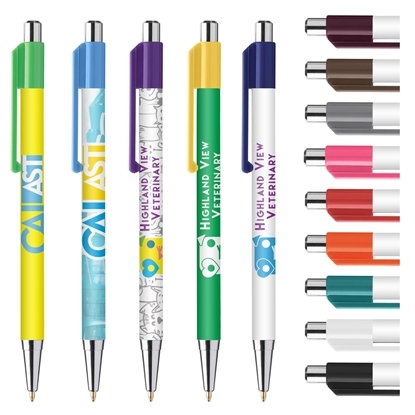 The Model Stick Pen has full color digital printing in an assortment of colors. New Improved Style. 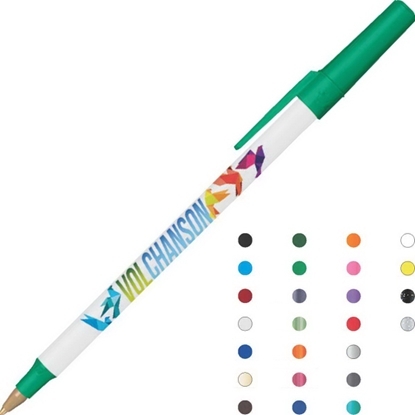 The US 1 Pen has single color printing in an assortment of colors. Mix and Match grips, clips, barrels. 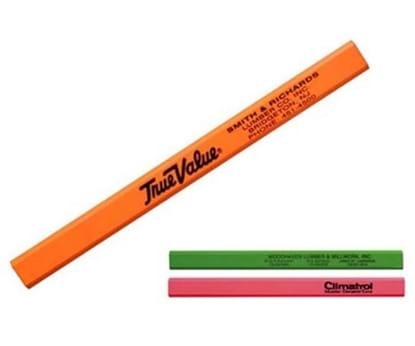 USA Made * Roller Ball™ Pens are engineered to last. These high performance pens are designed with a long lasting, tough Tungsten Carbide ball for smooth reliable writing each and every time. The Roller Ball Fine, 1400 Series, writes a .3mm line width for precision accuracy. Non-Toxic. 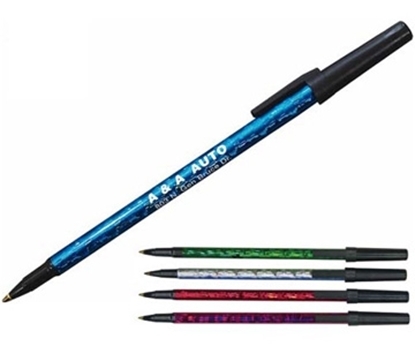 Nicely priced full color wrap pen. 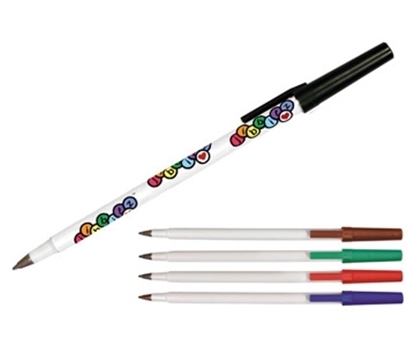 Eversmooth ink technology provides the smooth flowing ink of a gel pen, with the non-smudge benefits of a ballpoint! Get your full color design printed at a spot color price! Show your patriotism and promote at the same time with our Chubby Patriotic Pens. Blue grip, white body and red clip and plunger. Those colors don't run! Textured, blue, rubber grip. 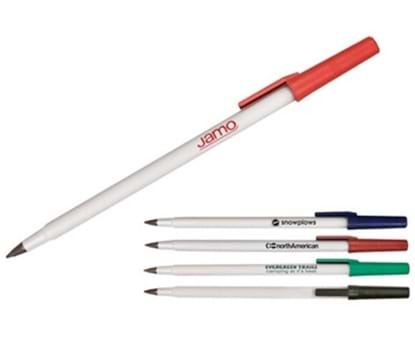 * USA Made * Permanent Ink Chisel Tip Markers are color fast, quick drying and won't fade. Contains the Liqui-Mark® unique patented Triplex Tip® that is ideal for marking things that are meant to last. They will permanently mark most surfaces in your office, home or school. They're also great for industrial use, but not intended for use as a laundry marker. Non-Toxic. Marker sets also available in vinyl pouch or heat sealed poly bag. Contact factory for details. 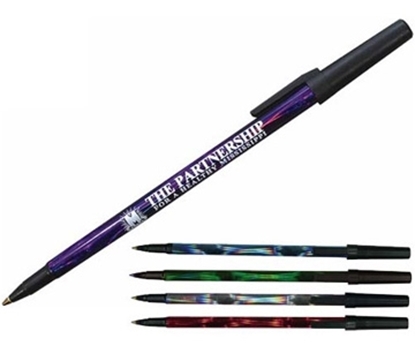 Show your patriotism and promote at the same time with our Super Star Twister Patriotic Pens. Red, white and Blue! Those colors don't run! . Available in a blue or black ink cartridge. Multi-color imprint available, call or chat for pricing. This classic Paper Mate ball pen is the value-priced fresh alternative for your everyday writing needs. Sport your message on perfectly white barrels with 11 fun trim colors, silver barrels with 5 trim colors, yellow barrels with 3 trim colors and frosted white barrels with 3 trim colors - 28 color combinations at an unbelievable price! Order as few as 300 units! Brighten your sales with the Paper Mate Sport RT. The Clicker is a basic click pen. Multiple options available. Please call for details. 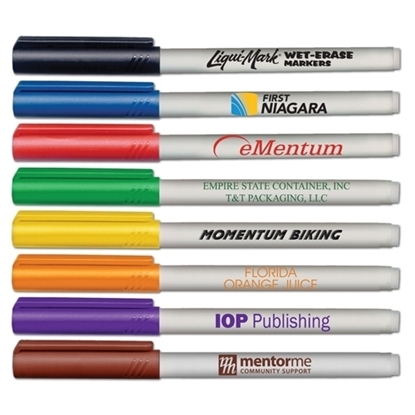 Mypromotionalpens.com offers the largest and best priced selection in Promotional Made In Usa Pens. We will price compete and we won't be under sold. 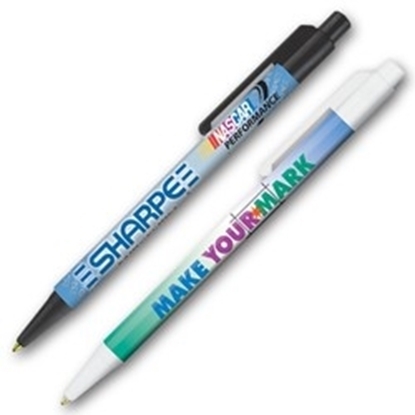 Let our graphic designers make your personalized Made In Usa Pens standout above the crowd at no charge. We won't stop until you are completely satisfied with your custom Made In Usa Pens art proof.Use category search filters on your left to help narrow your search to find exactly what you are looking for.